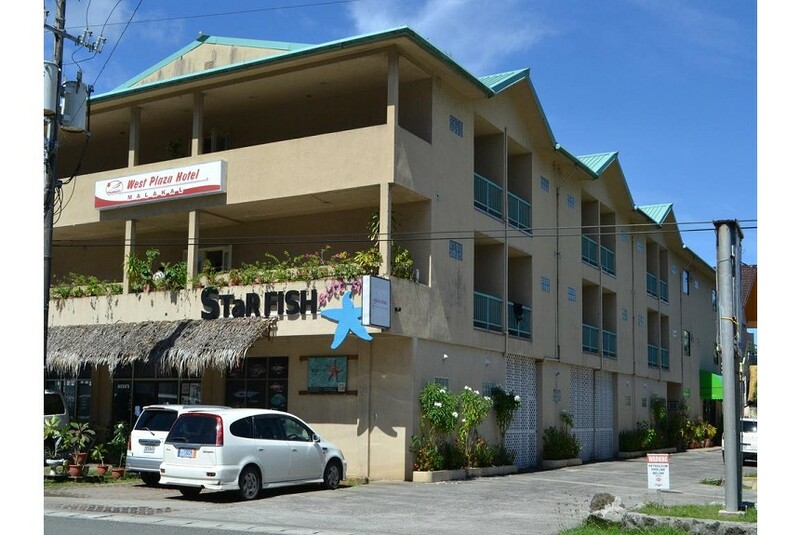 Located on the adjacent island of Malakal, West Plaza Hotel Malakal is near many of the main dive shop and tour departure points in Koror. West Plaza Malakal features 34 rooms ranging from standard to two-bedroom suites. The standard rooms offer a private balcony and in-room safety boxes. The suites offer two bedrooms with a full size kitchen, dining area, and a spacious living room with a bayview window. West Plaza Malakal features the Palm Bay Bistro restaurant serving a variety of Asian and Pacific Rim cuisines for breakfast, lunch and dinner. The hotel is also within walking distance to bars, discos, convenience marts, and dive centers.